Throw away all antiperspirants from ads promising up to a 72 hour effect. 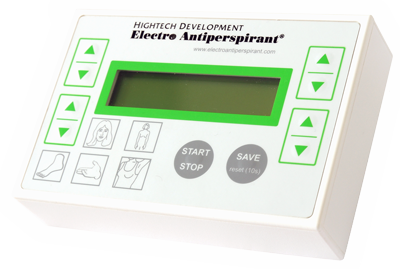 The longest reported effect of Electro Antiperspirant iontophoresis machine is 11 months for 1 use. Once you start to sweat again, you undergo 2-3 treatments and you will again have a long period of calm. 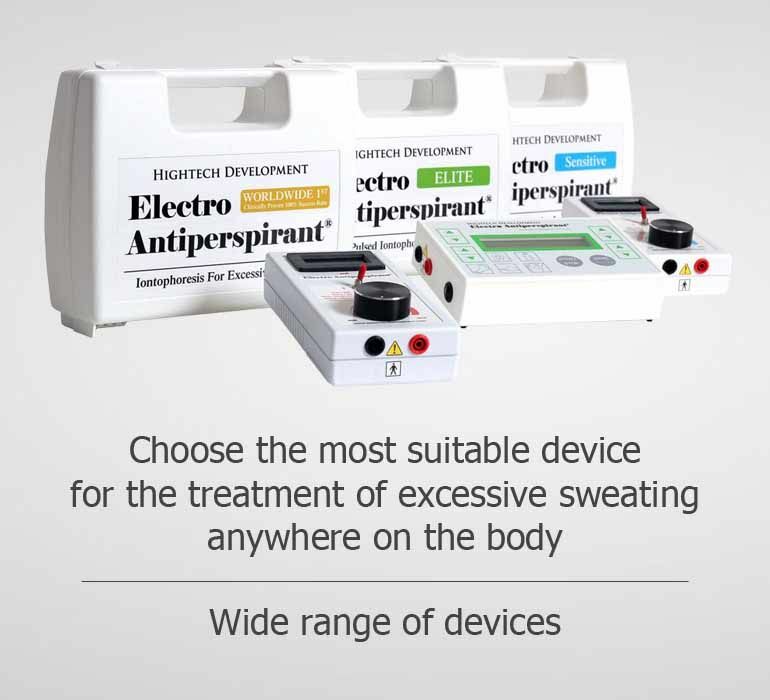 The Electro Antiperspirant series of branded iontophoresis is a real help against excessive sweating. 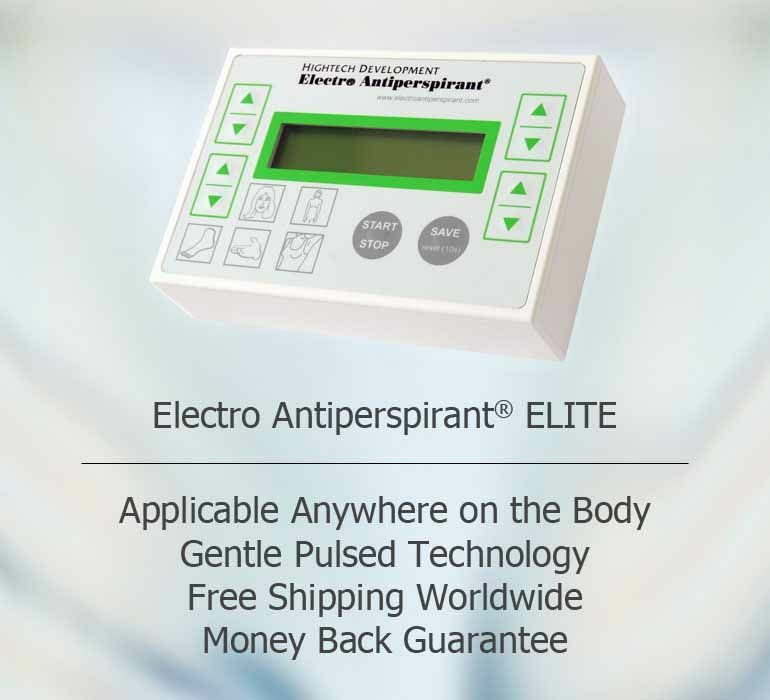 In 2010 -2012, we had the Electro Antiperspirant machine tested in a clinical setting under the supervision of experienced physicians. The results were incredible. 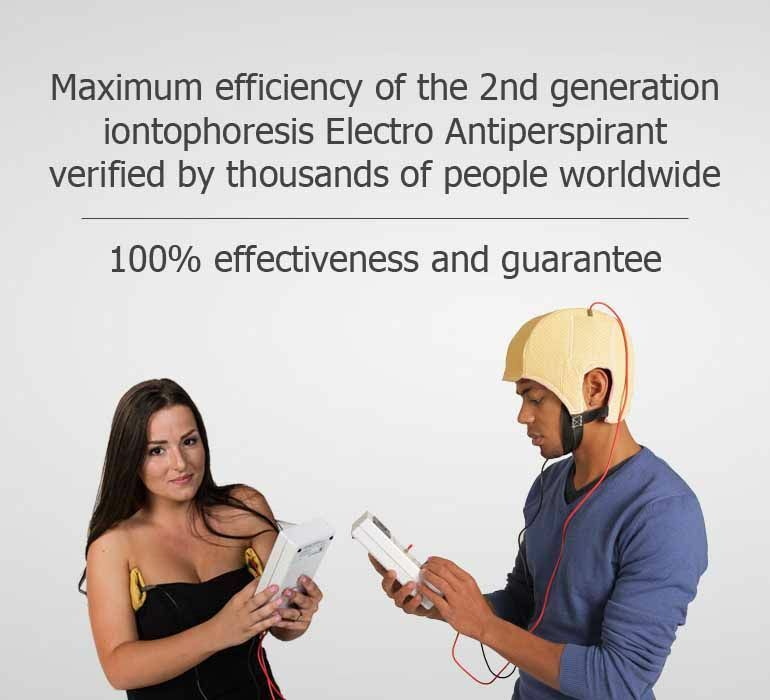 Iontophoresis Electro Antiperspirant helped absolutely all patients who were treated with it during this time. 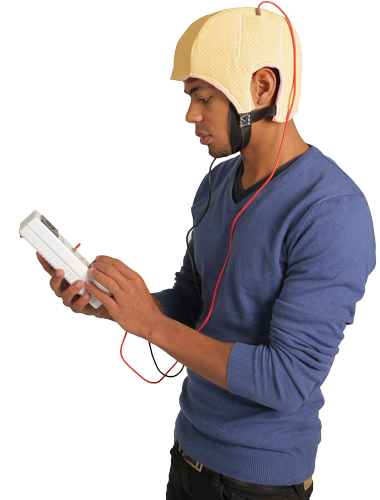 We are still improving and extending the effects of this therapy through this technology. The price of delivery is already calculated in the price of all of our products. No matter where you live, we will deliver the unit to you completely free of charge. You will be able to track your shipment on the Internet during the delivery. Shipping to United States takes approximately 1 business day. We use express air transport. In the Electro Antiperspirant we use patented technology developed by us that nobody else has. 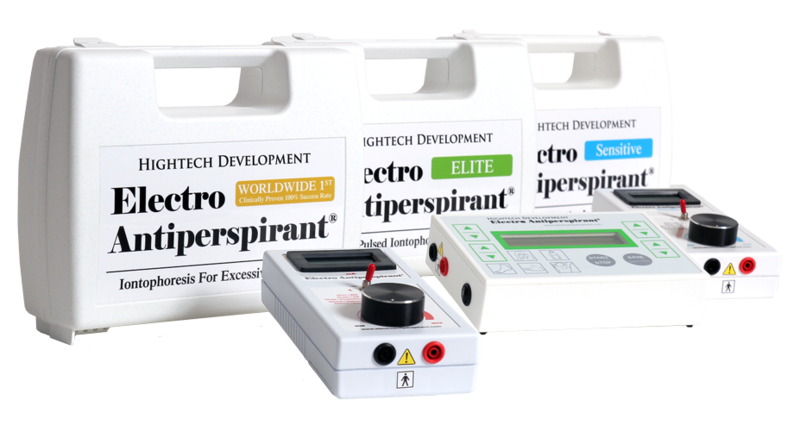 Only through it can the Electro Antiperspirant machine be so effective and safe at the same time. If somebody claims there is something as effective as the Electro Antiperspirant, they are lying.